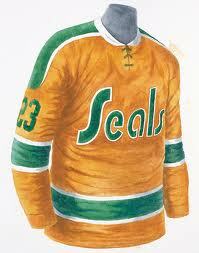 The Columbus Golden Seals operated as a farm team to the NHL’s California Golden Seals. The owner of the NHL Seals, Charlie Finley, who also owned the major league baseball’s highly successful and colorful Oakland A’s, acquired the International Hockey League franchise rights to the dormant Columbus Checkers. After a one year absence, hockey was back in Columbus as the “Baby Seals” became the parent club’s IHL affiliate. 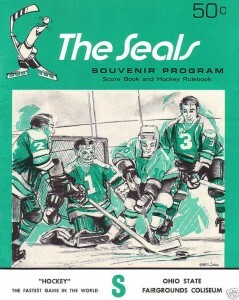 The Golden Seals were dismal on the ice posting a lackluster 15-55-2 record in 1971-72 under head coach Terry Simpson. Finley lured the popular Moe Bartoli back to Columbus in hopes of reviving the team’s fortunes, but the team followed up with an even worse 10-62-2 record in 1972-73. 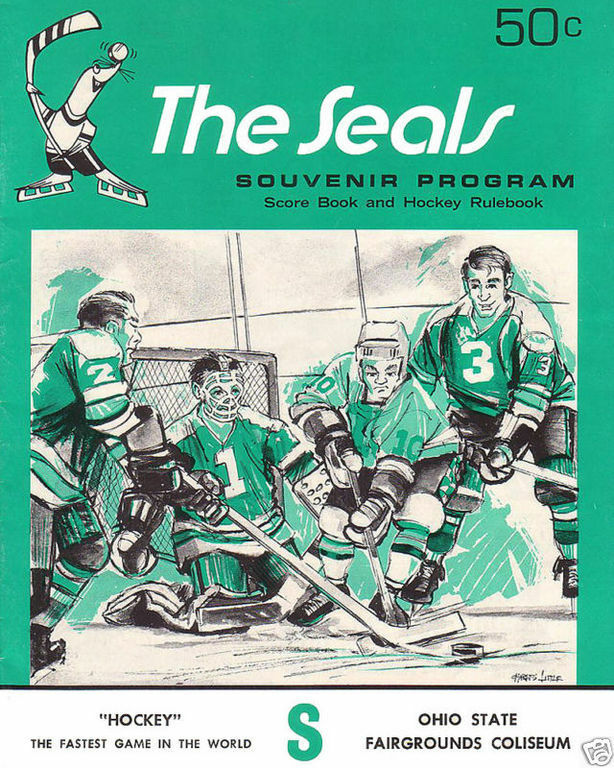 The Seals only lasting legacy were their bright gold, green and white uniforms and their white skates, a Finley trademark. In 1973, Finley sold the Seals to British born investment broker Al Savill who renamed the team the Columbus Owls.